The 2017 Lincoln MKZ is among those famous luxury cars Dubai that deliver an amazing performance and a smooth ride. It is available in the UAE with its two trim levels that include 2.0T and 3.0T at an expensive price. 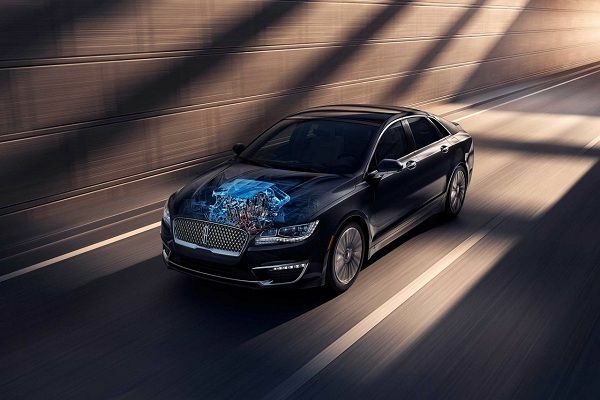 Lincoln offers two engine options for this vehicle along with the latest safety features that provide a secure journey to its occupants. 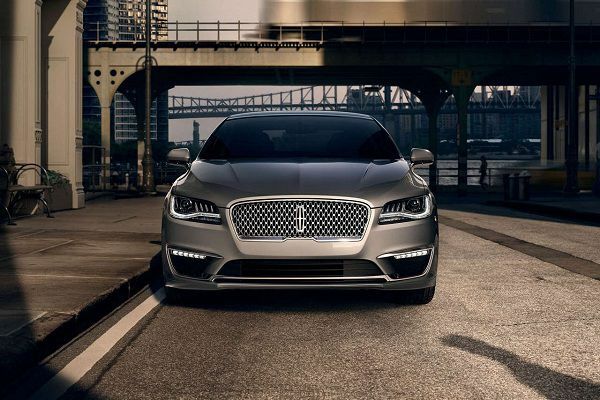 The design of 2017 Lincoln MKZ is stylish with sleek lines and smooth curves that make it look aggressive. The interior is fitted with the finest materials that make every journey comfortable and enjoyable. Here is the review of one of the famous luxury cars Dubai that offer both front-wheel-drive and rear-wheel-drive option. The design of luxury cars in Dubai is always fabulous and the design of the 2017 Lincoln MKZ is no exception. It has an impressive exterior and attractive interior that offers a comfortable and luxurious ride. It is available in the UAE in 10 exterior colors and in 4 interior colors. 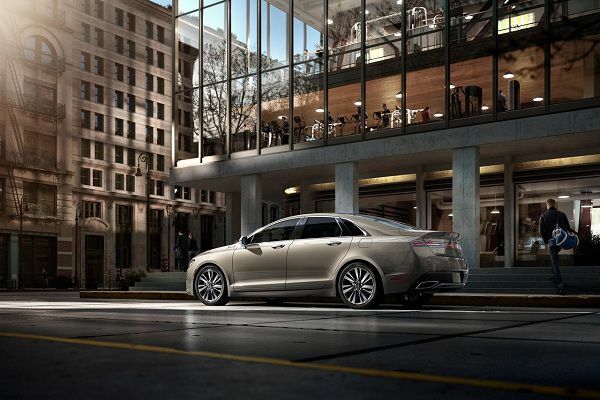 The 2017 Lincoln MKZ is among the Dubai luxury cars with a stylish look. It has sleek lines and sharp curves that provides it an aggressive look. It has a unicolor design with a signature Lincoln grille along with a Lincoln star motif that gives the vehicle an eye-catching look. The windows are equipped with a light tinted glass that reduces the rays of sunlight and it provides the vehicle a fabulous look. The windshield is equipped with the speed sensitive variable intermittent wipers, these wipers automatically detect the rain and clean the windshield to provide you a clear view. LED headlights, LED tail lights, fog lights and daytime running lights are nicely fitted in the vehicle and they not only make the vehicle look good, but also help the driver to see clearly on the road. The best feature of this lavish sedan is its Approach Detection System, as soon as you reach your vehicle with the keys of your car in your han or your pocket, it will detect your presence and activate an engaging welcoming experience that provides the vehicle an amazing look. 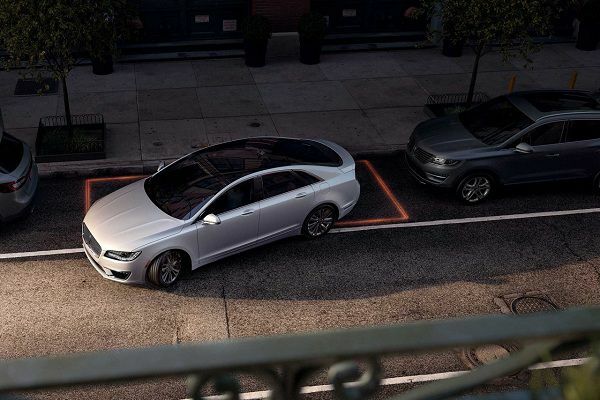 Lincoln Welcome Mat automatically lights up as soon as it detects your presence, it lights the front and rear lights along with the Lincoln Welcome Mat that to welcome you back. The 19-inch polished machined aluminum wheels with painted pockets make the stance of the sedan impressive and enhance its performance. 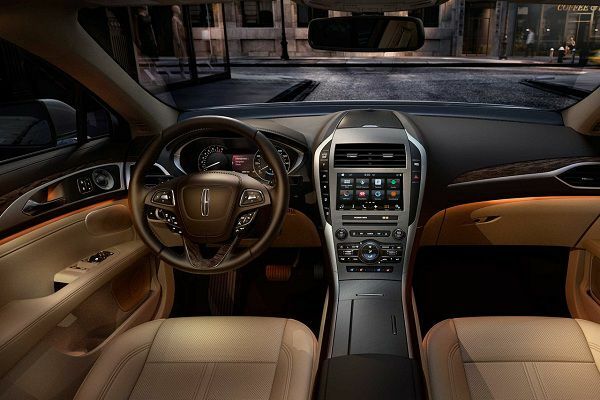 The interior of luxury cars Dubai are always appealing and the interior of 2017 Lincoln MKZ is no different. The seats of this sedan are upholstered with Bridge of Weir leather along with a premium Alcantara fabric to offer an unforgettable experience to its occupants. The front seats of this sedan are fitted with a Heating System that helps the occupants to remain warm in cold and chilly weather. The console and dashboard have wood accents to make the cabin look luxurious and look even more attractive. The steering wheel is leather wrapped to make it more comfortable to grip, however, it is also available with wood trim for a more luxurious appeal. It is also buttons for Cruise Control System and Audio System to help the driver to easily manage the various functions of the vehicle while keeping the focus on driving. The dual-zone front automatic air conditioning helps the occupants to easily set the temperature of the vehicle according to their desire. The remote keyless entry allows the driver to lock and unlock the vehicle by just pressing a button. A retractable panoramic glass roof provides a stylish look to the vehicle and it helps the riders to enjoy the natural weather and fresh air. The ambient lighting that is available in 7 colors enhances the beauty of the interior and it provides a glorious look to the vehicle. Dubai luxury cars proudly include the name of 2017 Lincoln MKZ as it delivers an amazing performance. It is powered by a 2.0-litre turbocharged 4-Cylinder engine that is able to produce 240 horsepower and 270 lb-ft of torque. It is paired with a 6-speed automatic transmission with paddle shifters and has a top speed of 201 Km/h. The estimated fuel efficiency of this vehicle is 21mpg in the city, 31mpg on the highway and 24mpg combined. It accelerates from 0-100 Km/h in just 7.3 seconds and the fuel tank capacity of this vehicle is approximately 16.5 gallon. The second engine option is a 3.0-litre twin-turbocharged 6-Cylinder engine that is able to produce 400 horsepower and 400 lb-ft of torque. It is paired with 6-speed automatic transmission with paddle shifters and can accelerate from 0-100 Km/h in just 5.8 seconds and has a top speed of 250 Km/h. The 2017 Lincoln MKZ is among the famous luxury cars Dubai because these cars offer advanced technological features that provide an enjoyable journey to its occupants. It is fitted with an 8-inch LCD screen that is features navigation, SiriusXM satellite radio, wireless streaming, voice activation and Bluetooth wireless phone connectivity. Lincoln Premium Sound System with 11 speakers are the part of this luxurious sedan that deliver a clear sound quality for its occupants. 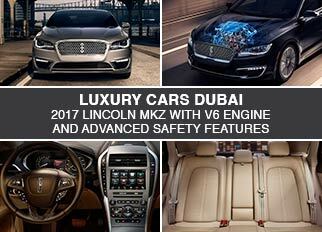 The 2017 Lincoln MKZ is considered to be one of the best luxury cars in Dubai as it is equipped with latest safety features. 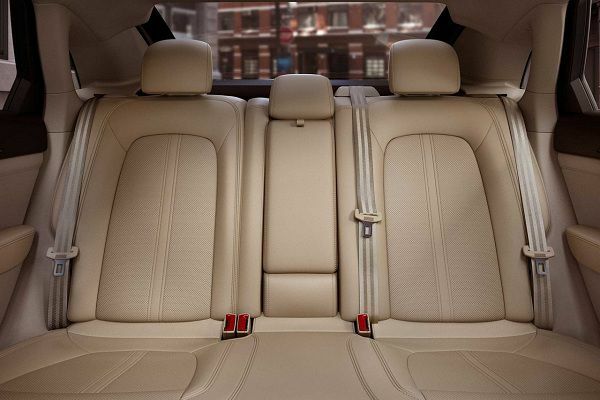 These safety features offer a secure and enjoyable journey to its occupants. The price of 2017 Lincoln MKZ 2.0T in the UAE starts from AED 160,000 to AED 175,000. The price of 2017 Lincoln MKZ 3.0T in the UAE starts from AED 220,000 to AED 240,000. The 2017 Lincoln MKZ is among the best luxury cars Dubai and it is available in the UAE with its two trim levels. It has a stylish look, comfortable interior and it delivers an outstanding performance that turns heads. Its latest safety features provide a sense of security to its riders and its advanced technological features offers an enjoyable journey to its riders.